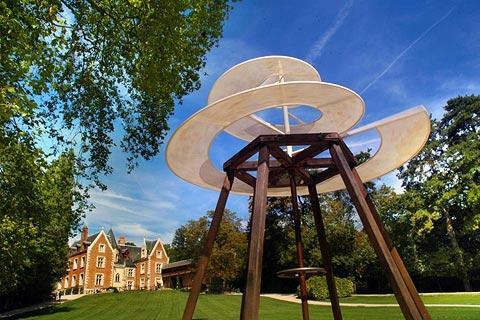 Just a few hundred metres from the centre of Amboise in the Loire Valley you can discover the fascinating house and inventions of one of the greatest minds and best known engineers of the last 600 years, Leonardo da Vinci, in the Chateau du Clos Lucé. 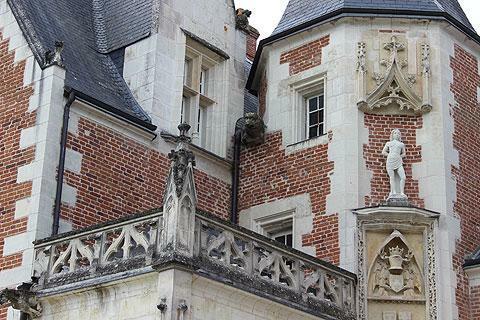 It was in 1516 that King Francis I of France invited Leonardo da Vinci to live here, and supplied the house close to Amboise Castle so that da Vinci could work in peace yet they could see each other often. He also supplied money and servants. 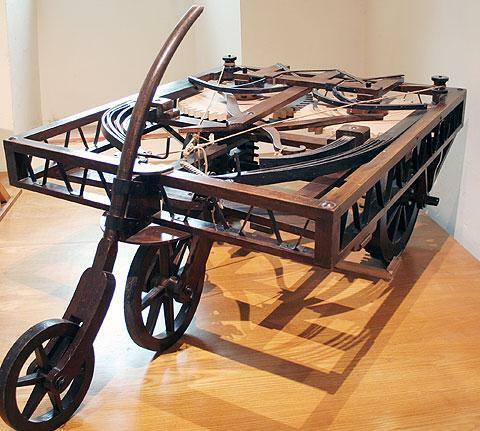 Da Vinci was already recognised throughout Europe as having a brilliant and inventive mind. 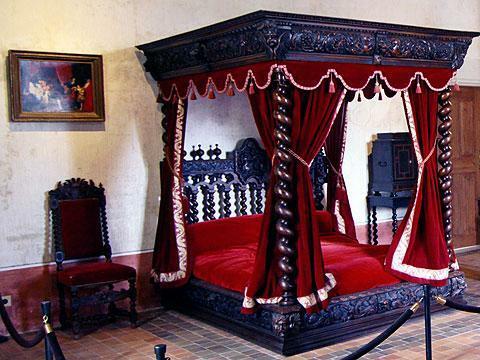 Leonardo da Vinci lived and worked in the house for three years, until his death on 2 May 1519. During those three years it was impossible to characterise da Vinci's work: among other things he was an artist and an engineer, a keen botanist and an inventor. Among his other achievements he worked on such diverse projects as the great staircase at Chateau de Chambord, the draining of the marshes in the Sologne region, and the planning of an Ideal Town at Romorantin. Fifty years earlier the castle - at that time called the Manoir du Cloux - was a fortified property, although very little remains today of the original fortifications. Charles VIII then bought the Chateau du Clos Lucé in 1490 and transformed it from a medieval fortress into a property more fitting as a summer residence for the Kings of France. He also had the chapel built for Queen Anne of Brittany to have somewhere to mourn her children. It was King Francis I, at that time the Duke of Angouleme, and his sister who first began to invite the great renaissance period artists and architects to the chateau. It was against this background that Francis I later invited Leonardo da Vinci to live in the castle. It is said that da Vinci crossed the Alps on a mule carrying a few of his greatest artworks with him such as the Mona Lisa and the Saint John the Baptist. With the death of Leonardo da Vinco the glory days were over for the Chateau du Clos Lucé, and it only survives today because the d'Amboise family saved it from damage during the French revolution. Restoration work has been carried out here over the last 50 years and substantial parts of the building have now been restored to their appearance at the time of Leonardo da Vinci. - The first is the house itself, a very attractive red brick building with stone detailing. Inside the house several of the important rooms have been restored, including the kitchens, the Council Chamber, the bedrooms of Marguerite de Navarre and da Vinci and the stonework and frescoes in the Queen Anne chapel. 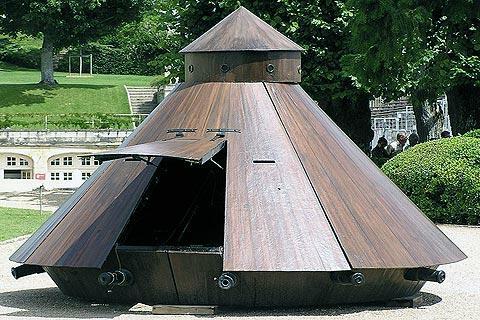 - The second part of the visit is the underground rooms of the chateau, where you can now see detailed recreations of 40 of da Vinci's inventions. As you will see, many of them were ideas that he had centuries before they would be built elsewhere, such as a flying machine, a machine gun and an automobile. 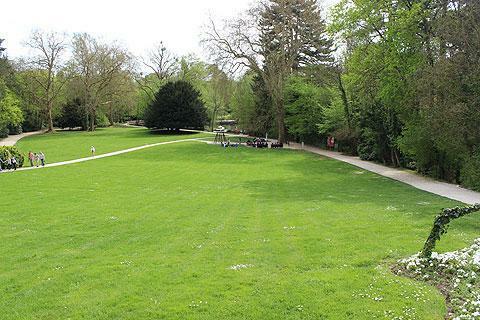 - The third part of your visit is to the gardens and parkland that surround the castle. These are a major part of the visit, and are very extensive. They include several more recreations of Leonardo da Vinci's ideas such as a bridge on two levels; his artworks presented in forested surroundings; and also a pigeonnier from the original castle, a large natural marsh garden called Leonardo's Garden, and a small boating lake. It would spoil your visit if we detailed every single machine, artwork and garden area but be assured there is a great deal to see and enjoy, and large areas of grass where you can sit and relax (as well as a tea shop and restaurants) so allow plenty of time for your visit! 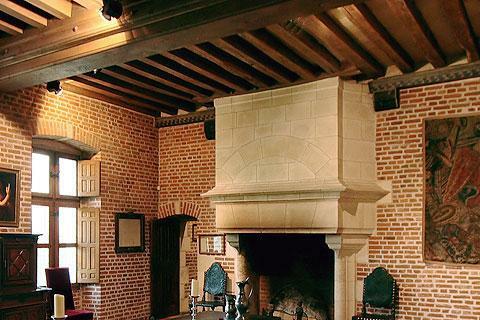 The Château du Clos Lucé is open every day of the year except Christmas Day and New Years Day. Entrance costs around 16 euros. There is a great deal to see close to here, starting with a visit to the town of Amboise. In the town you will certainly want to visit the Château d'Amboise, one of the most impressive castles in the Loire valley with lovely views across the town and beautiful gardens, as well as the burial place of Leonardo da Vinci in the chapel at the castle. Close to Chateau du Clos Lucé you can visit another manor house at the Domaine Royal de Château Gaillard, where King Charles VIII created the first renaissance style gardens in France and which have now been recreated in their original style.